Published Wednesday September 6th, 2006 via a mobile phone. I should start taking more lunches at 1500 like i an right now. Its peaceful. 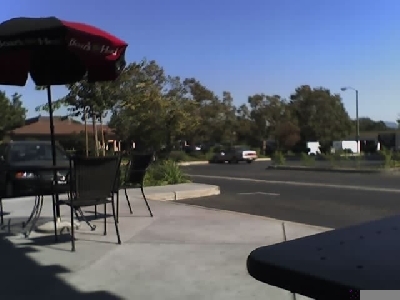 No lunch hour rush and a feeling as though i had all the time in the world to sit here on the patio outside of Lambardos Deli. Its rather peaceful. Rather euphoric. A pleasant lunch hour three hours delayed. When i return to work ill have but two hours remain. I rather like it right here. It feels good. I feel good. So why'd you ruin your serenidity by taking 10 mins to hack this entry out on a cell phone? Jk. Lunch time is such a savior during the 9-5 thing, good idea with the delay.